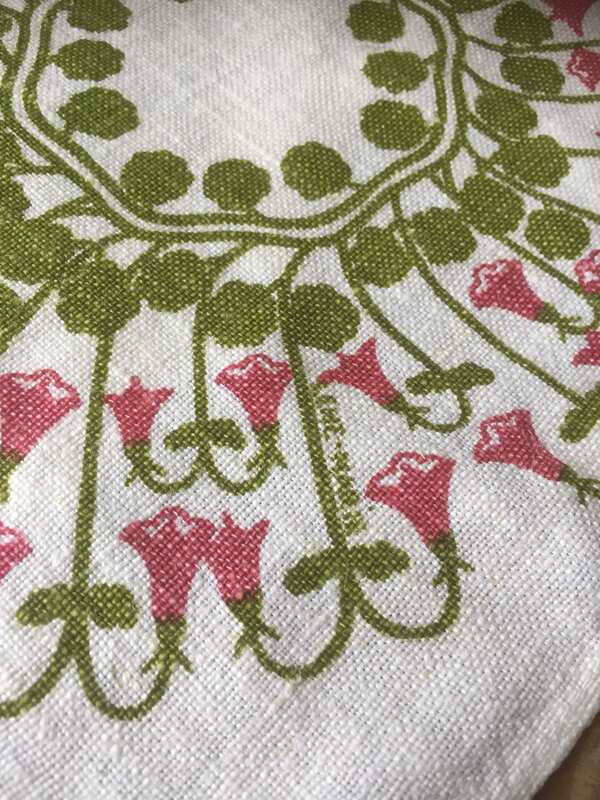 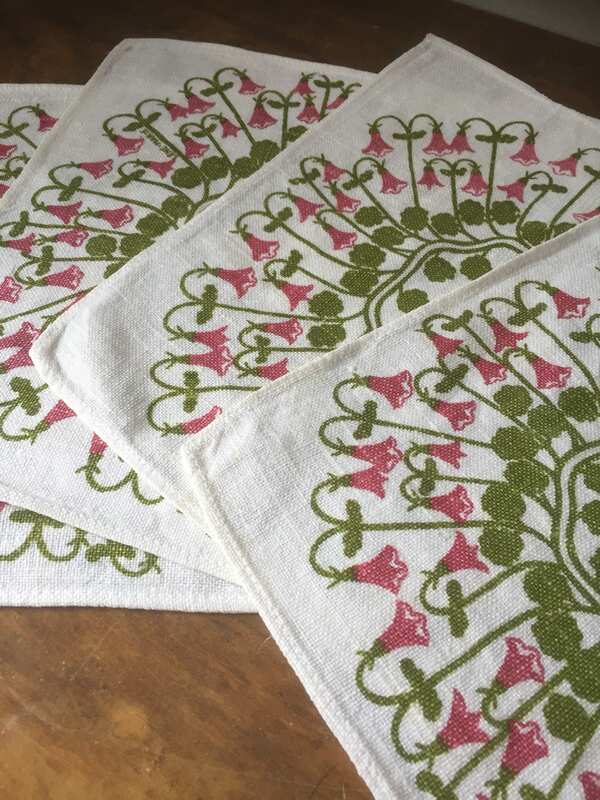 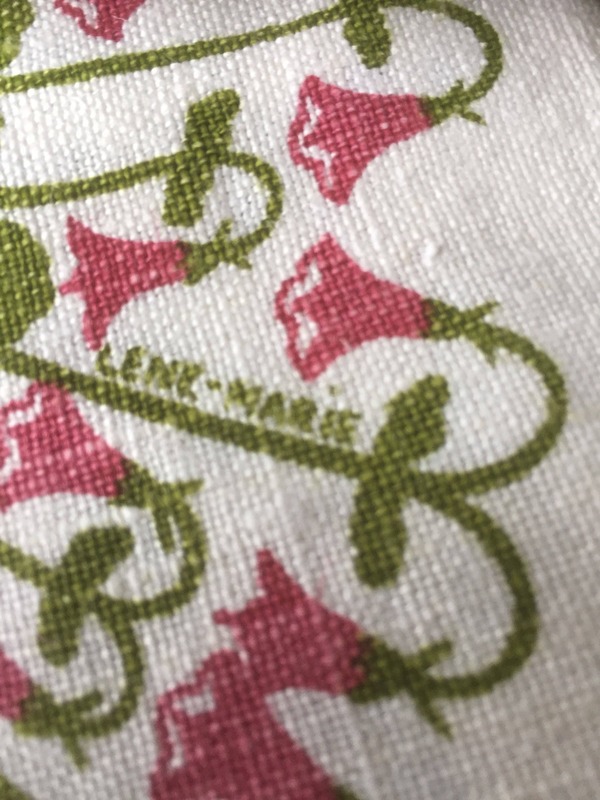 These are 4 Swedish hand printed linen table napkins designed by Lene-Marie for Frösö textile company. 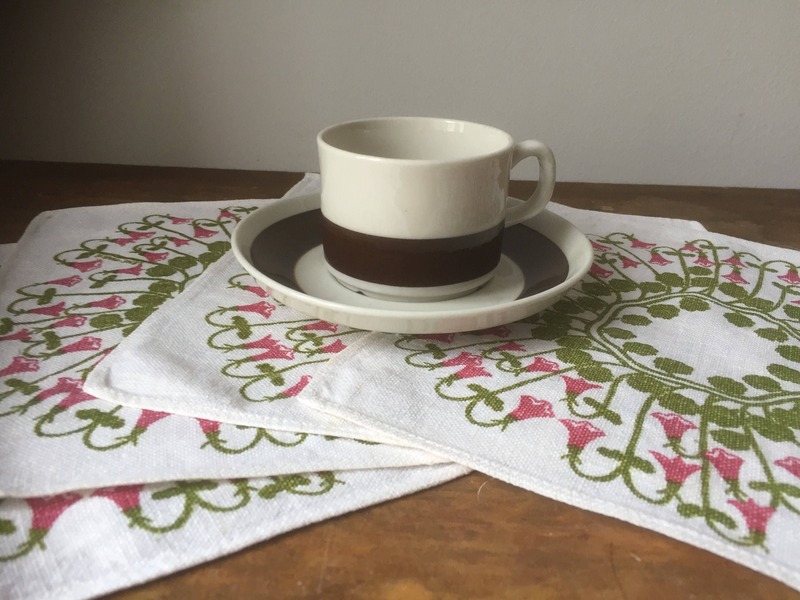 Bring a pop of color to your table with these lovely Scandinavian textiles. 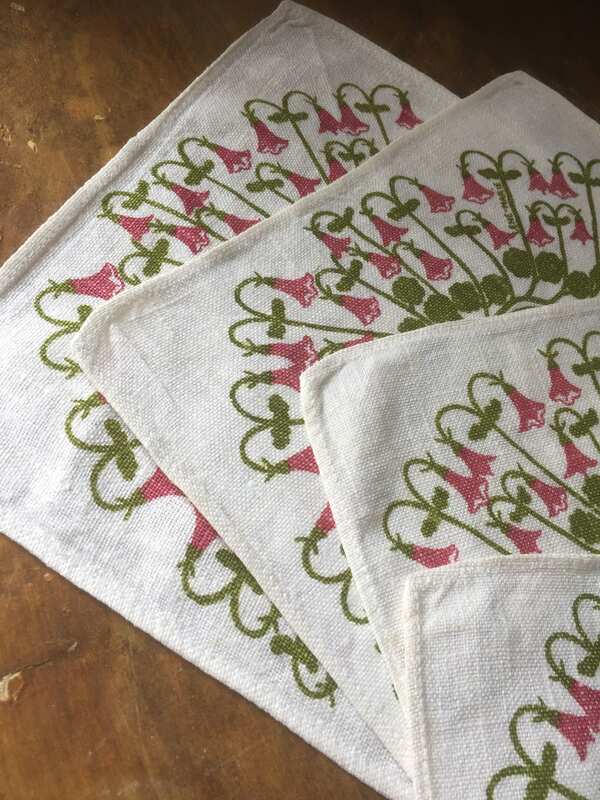 They are printed with a beautiful pattern of pink flowers on a white linen textile. 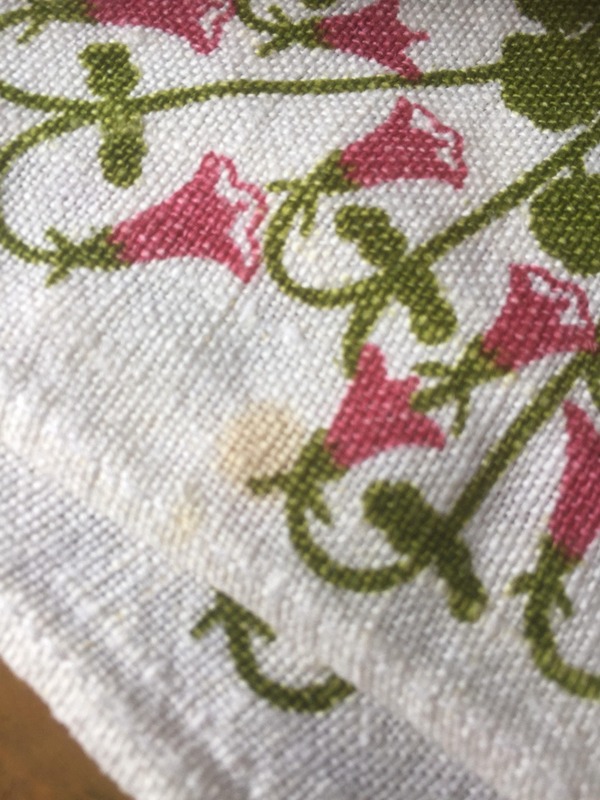 They are all in good vintage condition but one of the napkins has a coffee drop on it. 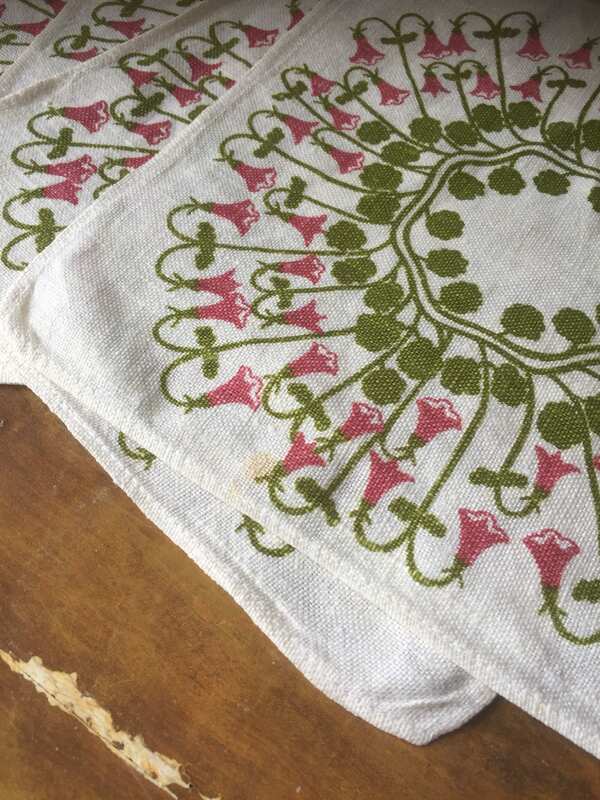 See the close-up photo. 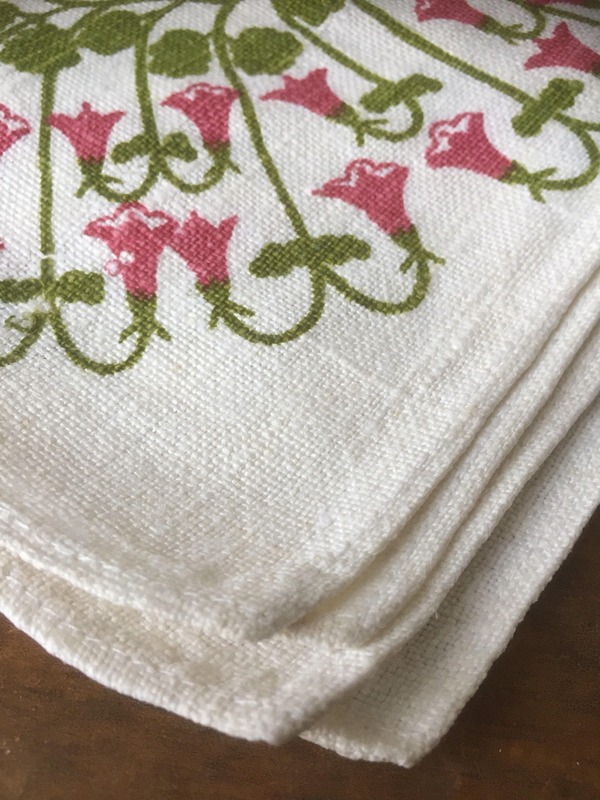 These napkins are sure to elevate any table, especially in the spring.